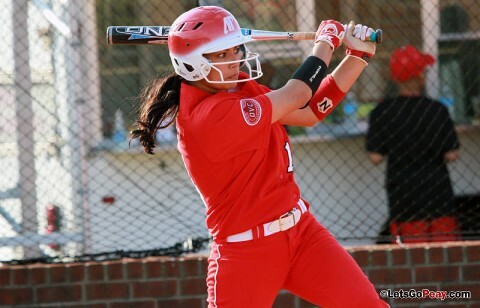 Clarksville, TN – Austin Peay State University’s softball team couldn’t slow down Eastern Illinois’ offense down the stretch, Thursday, at Cheryl Holt Field, with the Lady Govs dropping the finale of its three-game Ohio Valley Conference series to the Panthers, 12-8. 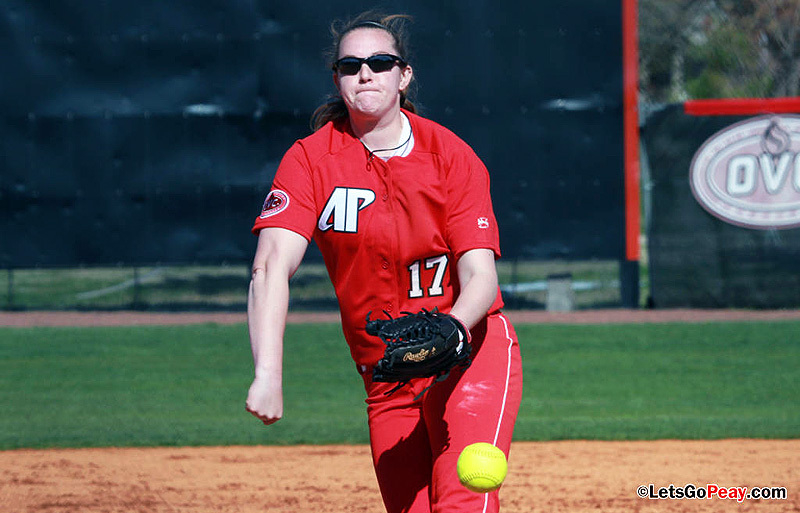 Clarksville, TN – Austin Peay State University’s softball team scored seven runs in the first two innings versus Eastern Illinois, Wednesday at Cheryl Holt Field, on its way to an 8-7 win over the Panthers, before dropping the nightcap, 12-0. Clarksville, TN – Austin Peay State University’s softball team finally will open the Ohio Valley Conference part of its 2015 schedule this Wednesday and Thursday by hosting Eastern Illinois, at Cheryl Holt Field in a three-game series. 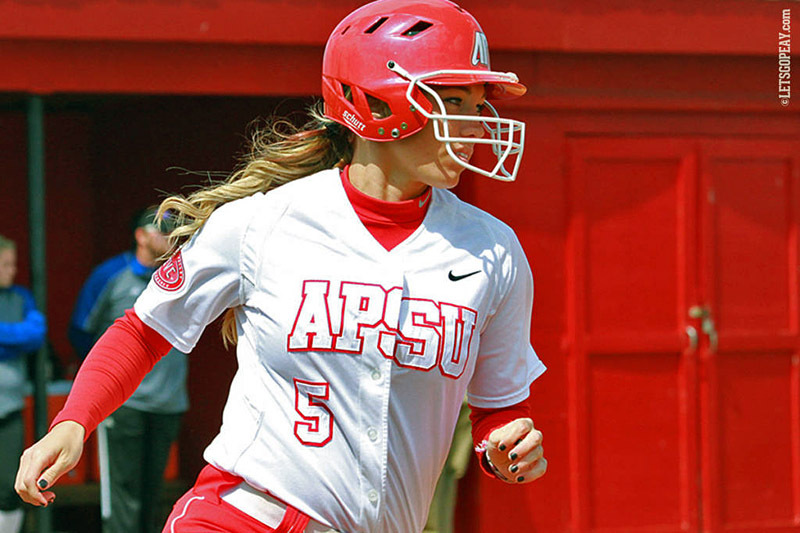 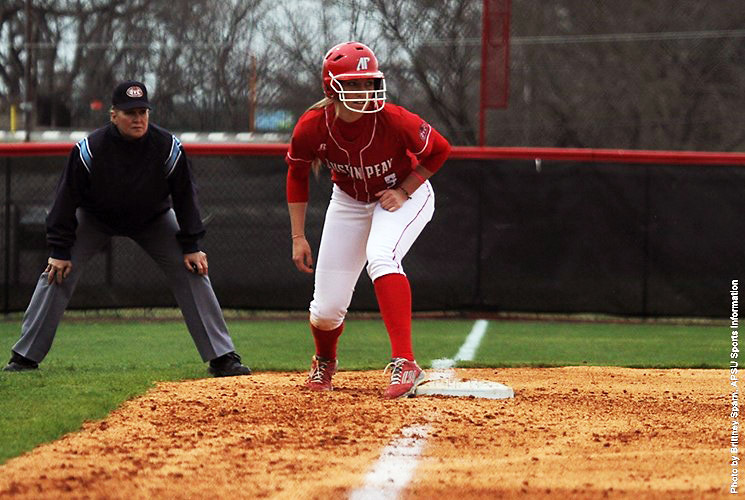 Charleston, IL – Austin Peay State University’s softball team suffered two heartbreaking Ohio Valley Conference walk-off losses, Saturday at Glenn & Joan Williams Field, to Eastern Illinois by 4-3 and 3-2 – in eight innings — finals. Clarksville, TN — Austin Peay State University’s softball team’s resent hitting slump continued Sunday afternoon, at Cheryl Holt Field in the final game of its three-game Ohio Valley Conference series, as it was shutout by Eastern Illinois, 6-0. 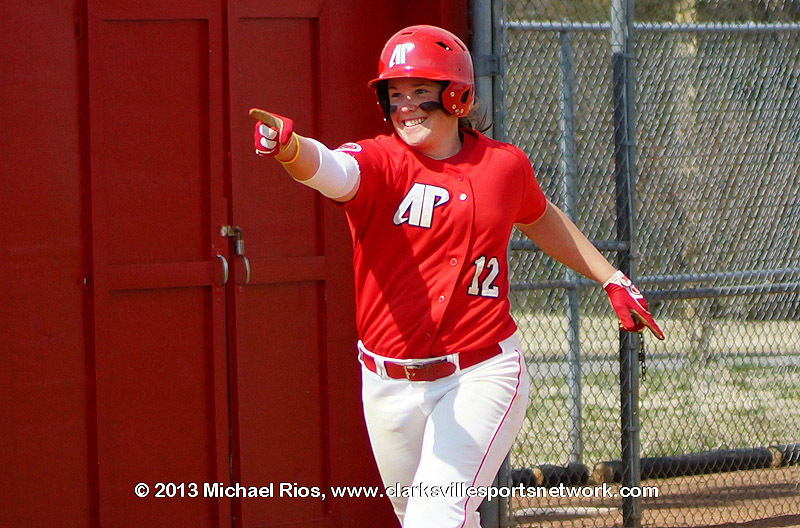 Clarksville, TN – Austin Peay State University’s softball team never got a steady offensive threat going, Saturday afternoon at Cheryl Holt Field, as the Lady Govs were swept by Eastern Illinois in their Ohio Valley Conference openers, 6-2 and 7-1. Charleston, IL – For a third straight time in its season-ending Ohio Valley Conference series versus Eastern Illinois, the Austin Peay State University’s softball team got a stellar pitching performance, but like the other two games they came up just a little bit short in falling to the Panthers, 1-0. 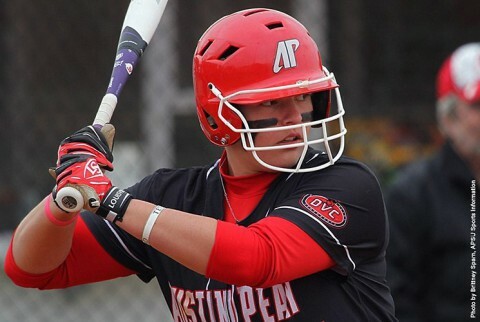 Charleston, IL – Austin Peay’s softball team got a pair of solid pitching performances Saturday afternoon in its Ohio Valley Conference doubleheader versus Eastern Illinois, but unfortunately for the Lady Govs, they came up on the short end of both finals to the Panthers, 1-0 and 3-2. 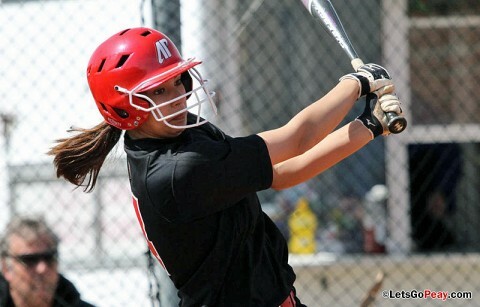 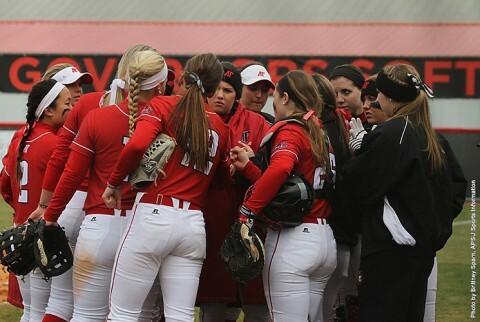 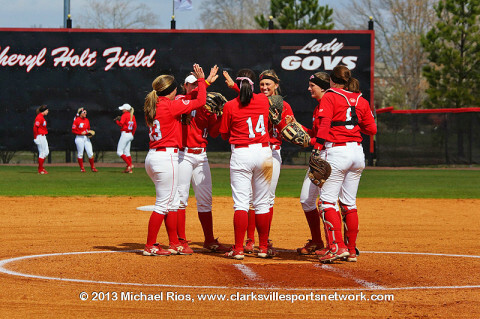 Clarksville, TN – Austin Peay State University’s softball team will hit the road this weekend to close out its 2012 schedule with a three-game Ohio Valley Conference series versus Eastern Illinois in Charleston, IL.